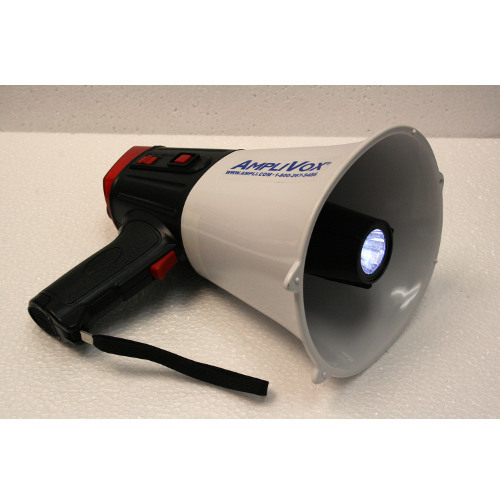 The Safety Strobe Megaphone is ultra lightweight with a range of 100 yards. 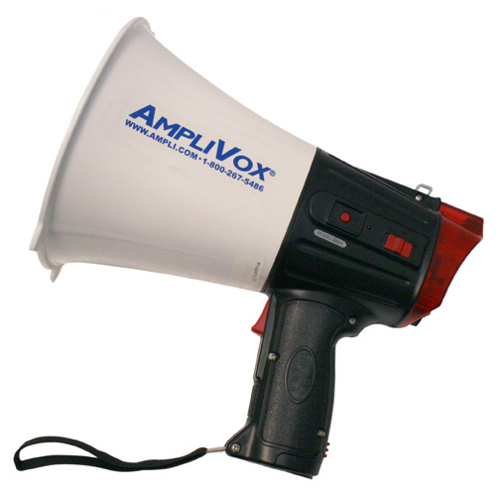 Whistle button, Adjustable Volume and Battery Indicator reaffirms power status. 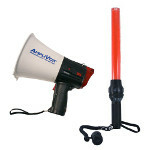 Safety Strobe Megaphone 10 watt megaphone with record & play feature and emergency flashing strobe light. Flash light illuminates from bell. 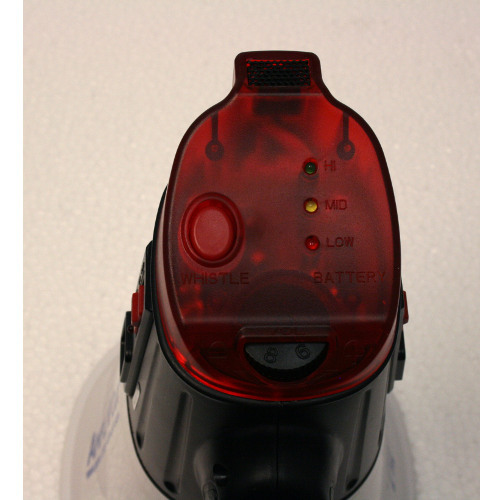 3 Modes: talk, siren, whistle and battery indicator light: low, mid, hi. Up to 30 continuous hours on 8AA batteries (not included). Made from durable ABS plastic construction that can take abuse. 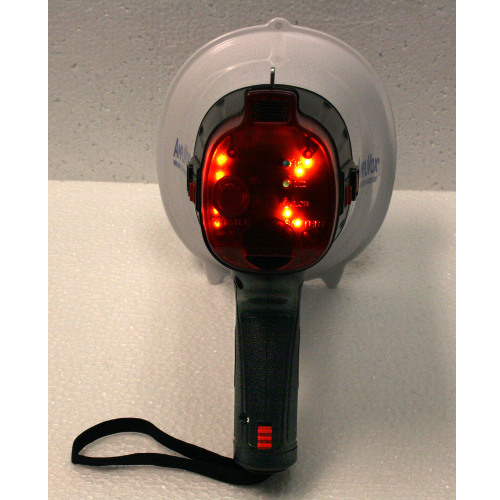 Use for personal safety in your car or truck. 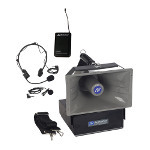 Excellent megaphone for Law Enforcement, Police, EMS, Fire, SWAT Teams,Traffic Control, and Safety Marshals. Piezo computer technology providing greater battery efficiency, up to 40% more efficient and greater battery life. 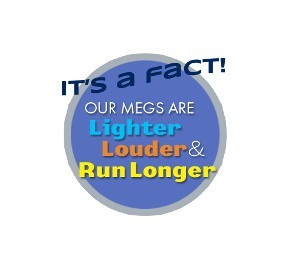 Now half the weight of normal megaphones, ultra lightweight at 2 lbs. 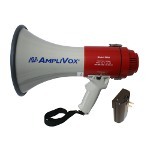 Mini Megaphone can cover up to 100 yards, lightweight at 2 lbs. 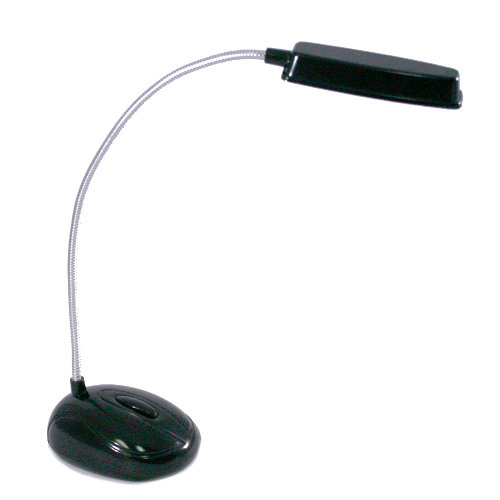 Product Dimensions: 21.25" x 2.25"
AC Wall Charger: 120 volts, 60 Hz.